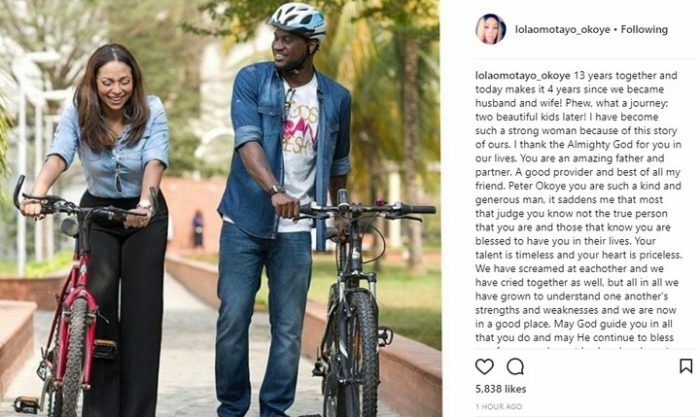 As today marks the 4th year Lola Omotayo and Husband, Peter Okoye of Psquare have been legally married and the 13th year together, the couple have taken to their social media messages share emotional love stories. ”13 years together and today makes it 4 years since we became husband and wife! Phew, what a journey; two beautiful kids later! I have become such a strong woman because of this story of ours. I thank the Almighty God for you in our lives. You are an amazing father and partner. A good provider and best of all my friend. 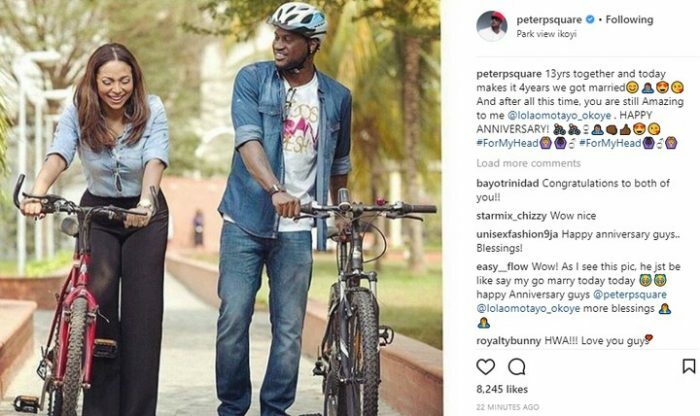 Peter Okoye you are such a kind and generous man, it saddens me that most that judge you know not the true person that you are and those that know you are blessed to have you in their lives. Your talent is timeless and your heart is priceless. We have screamed at eachother and we have cried together as well, but all in all we have grown to understand one another’s strengths and weaknesses and we are now in a good place.